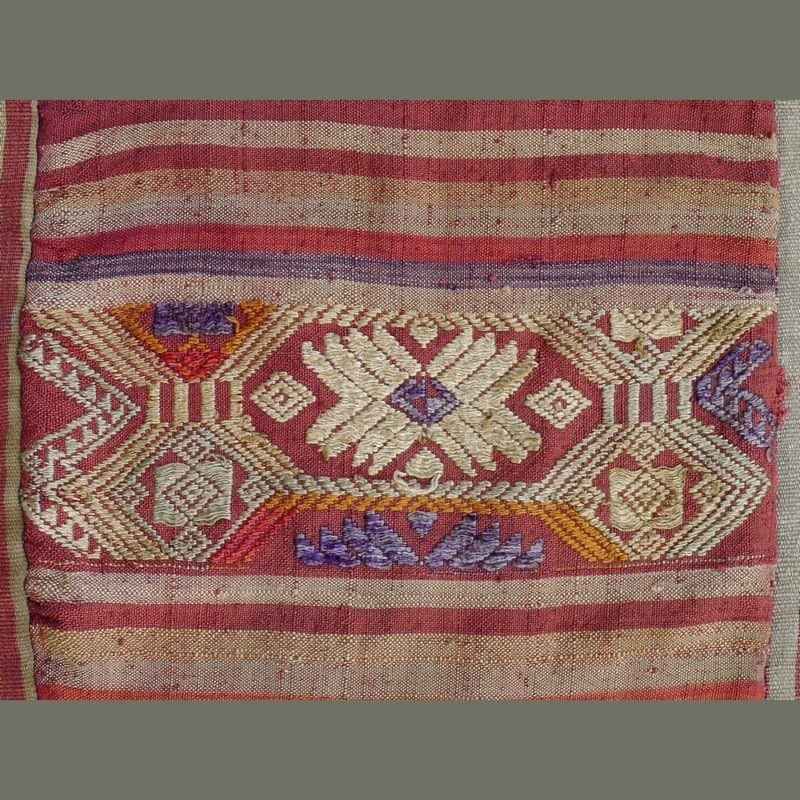 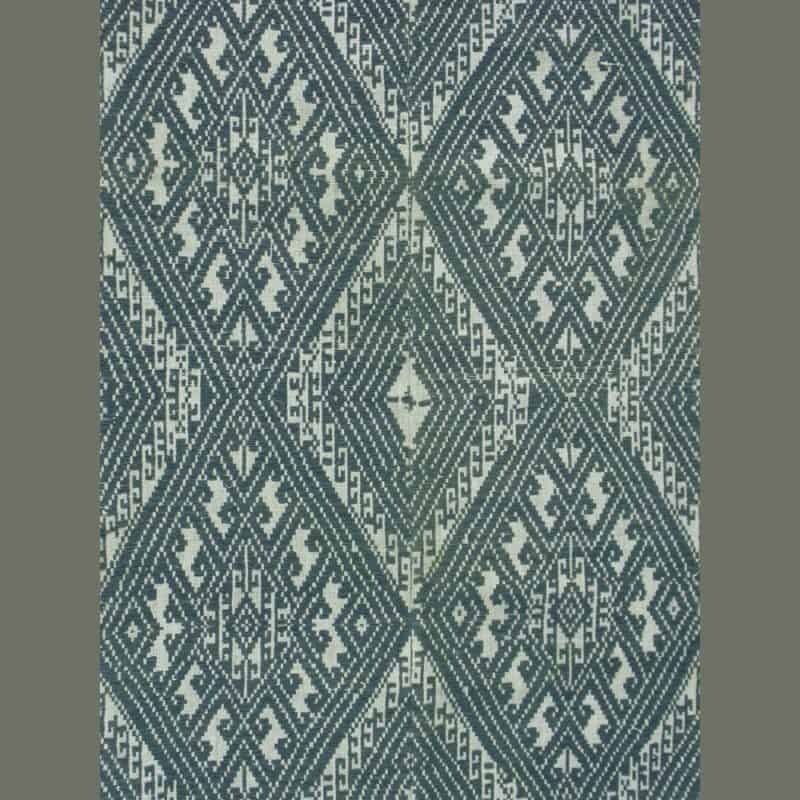 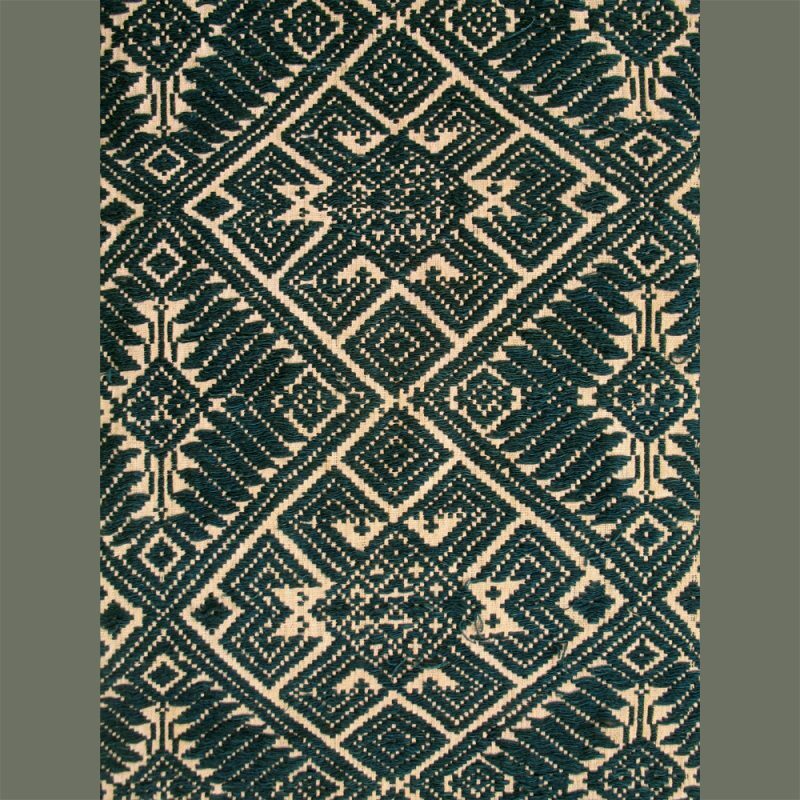 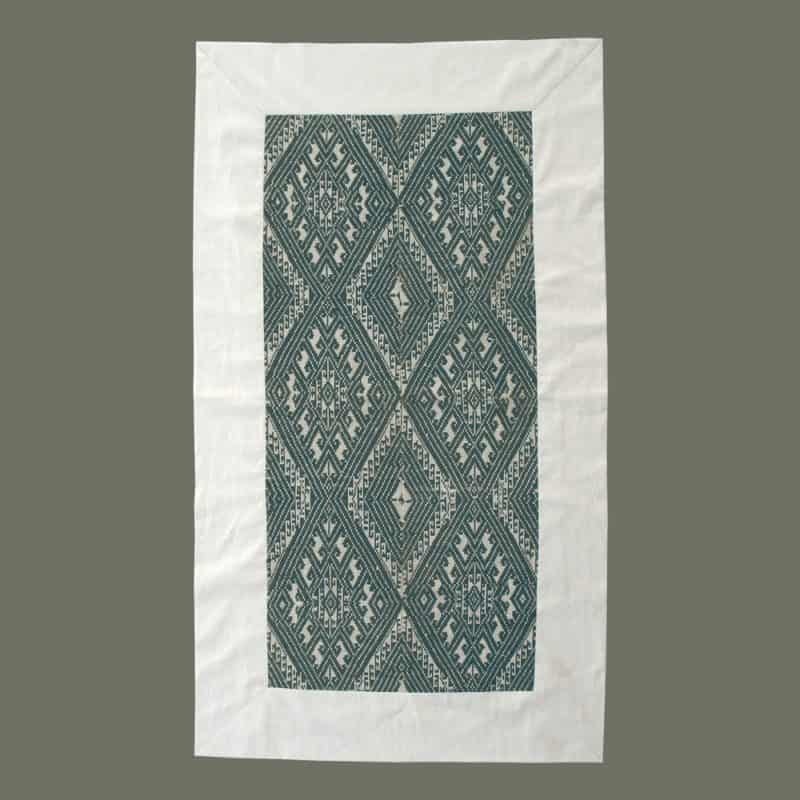 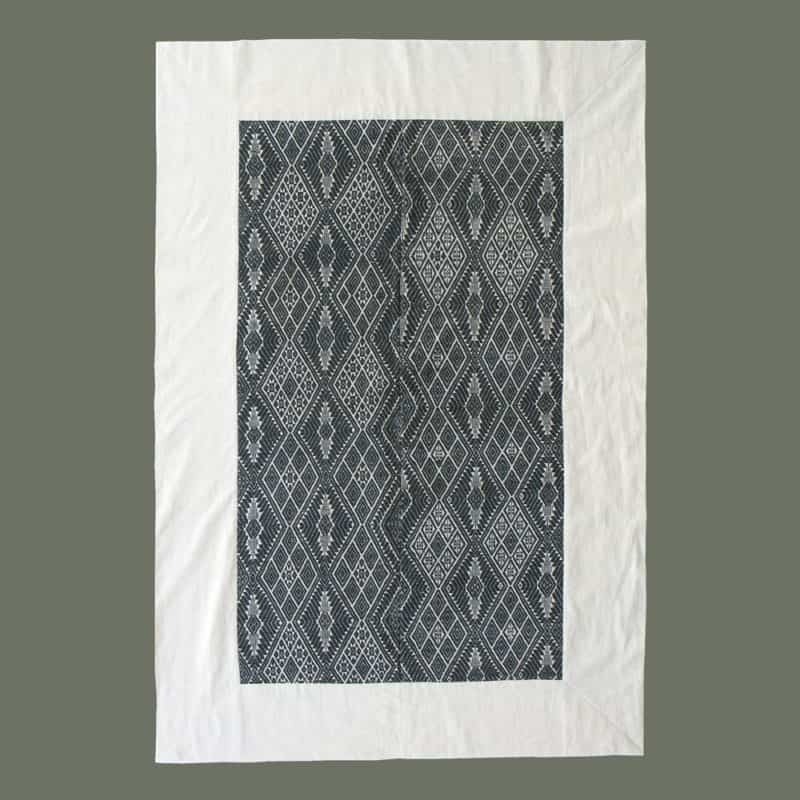 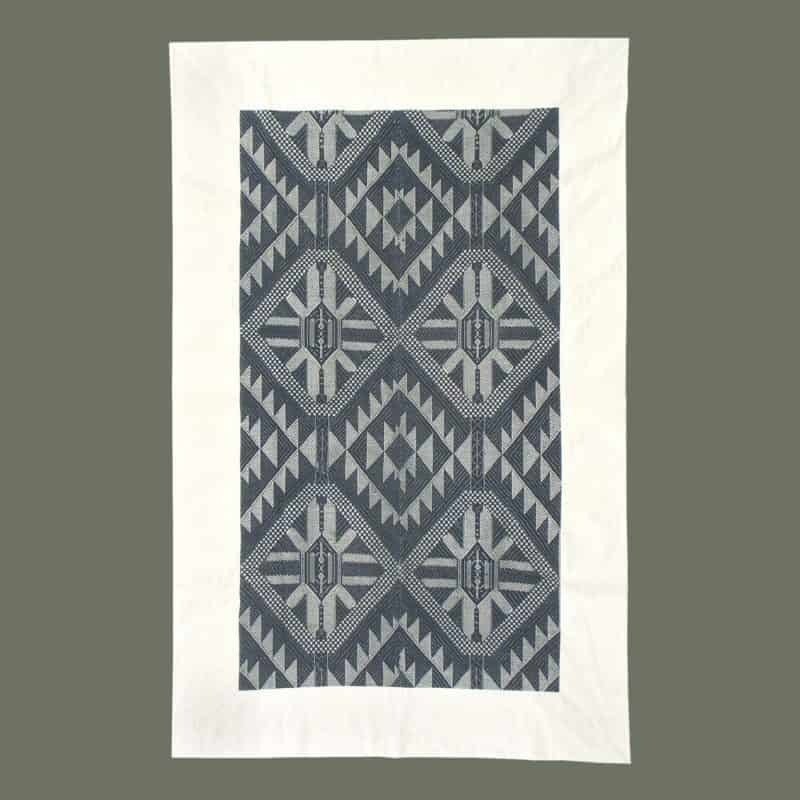 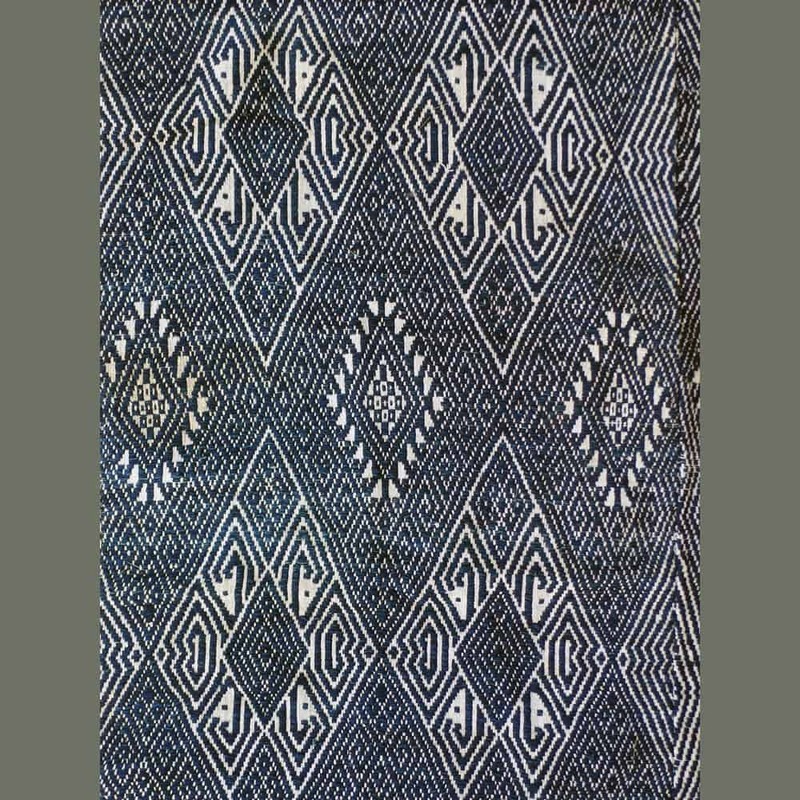 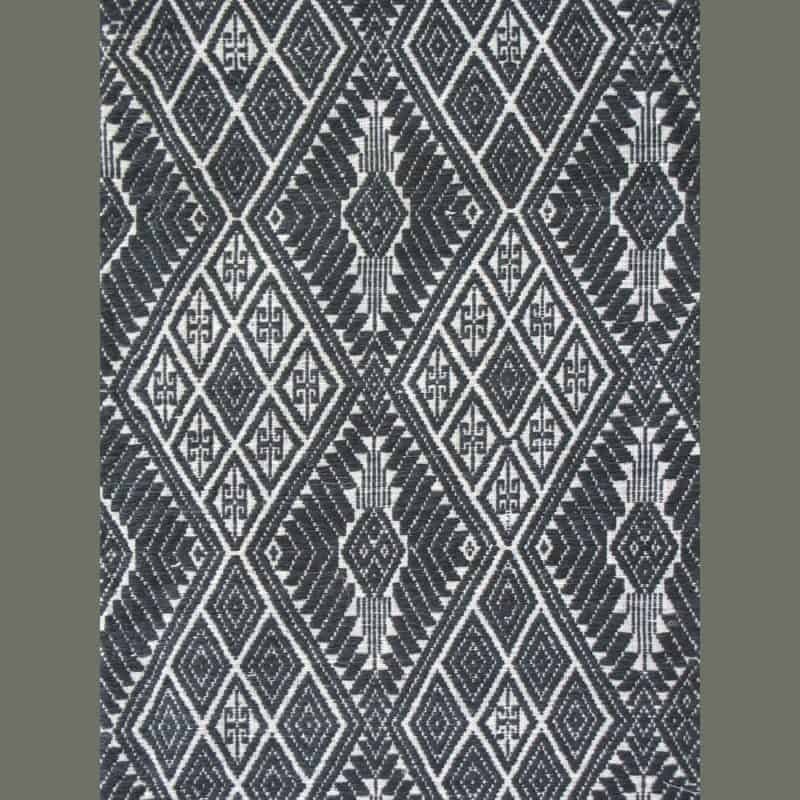 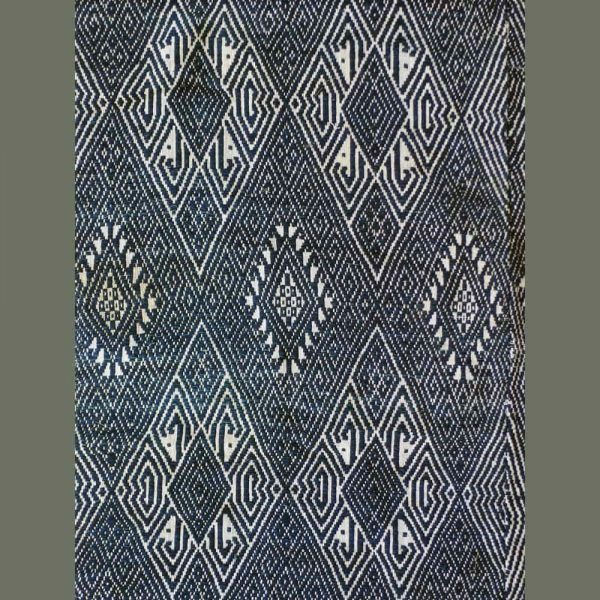 With its original border of handspun natural cotton, this old blanket from Xam Neua has a lively, eye-dazzling design of multiple diamond motifs. 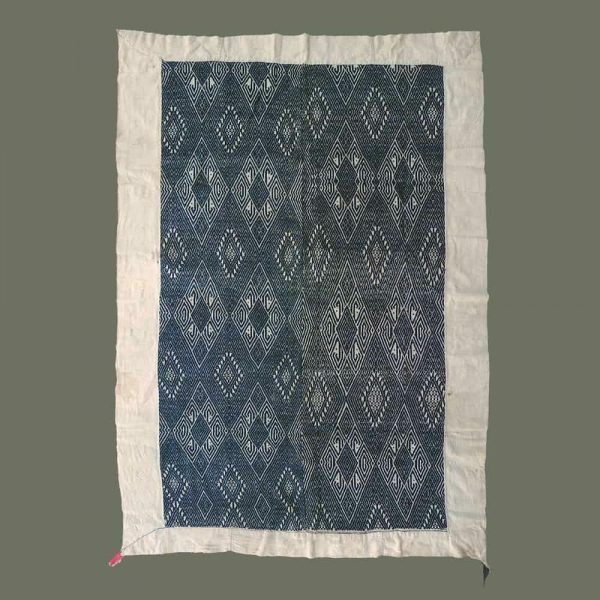 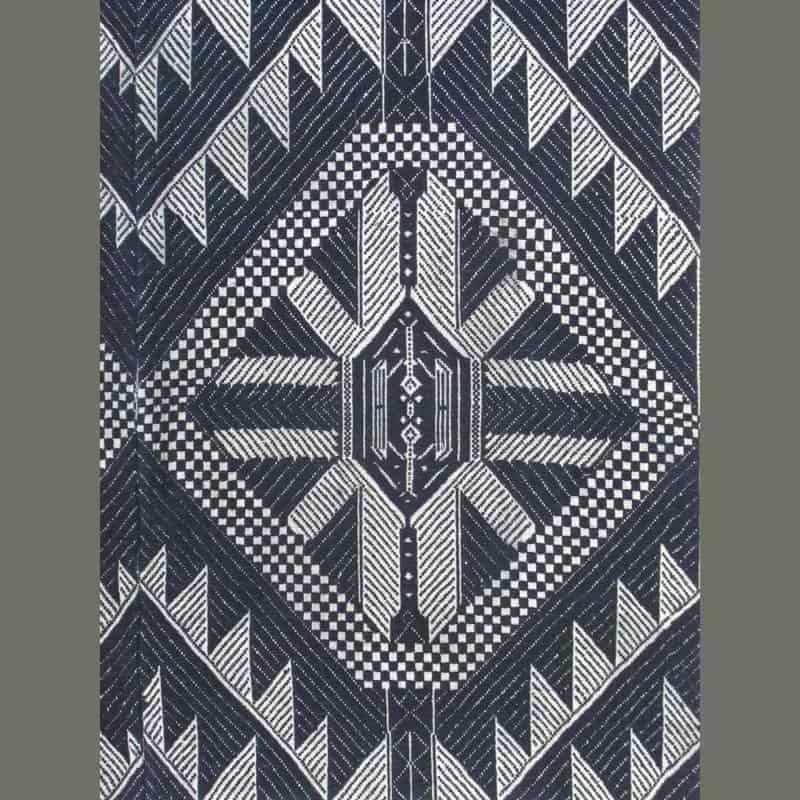 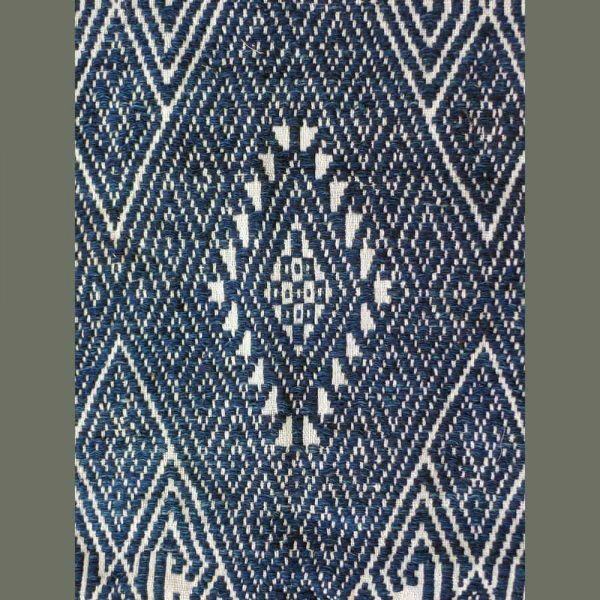 All are woven in handspun, dark indigo cotton thread on a background of handspun natural cotton in two panels. 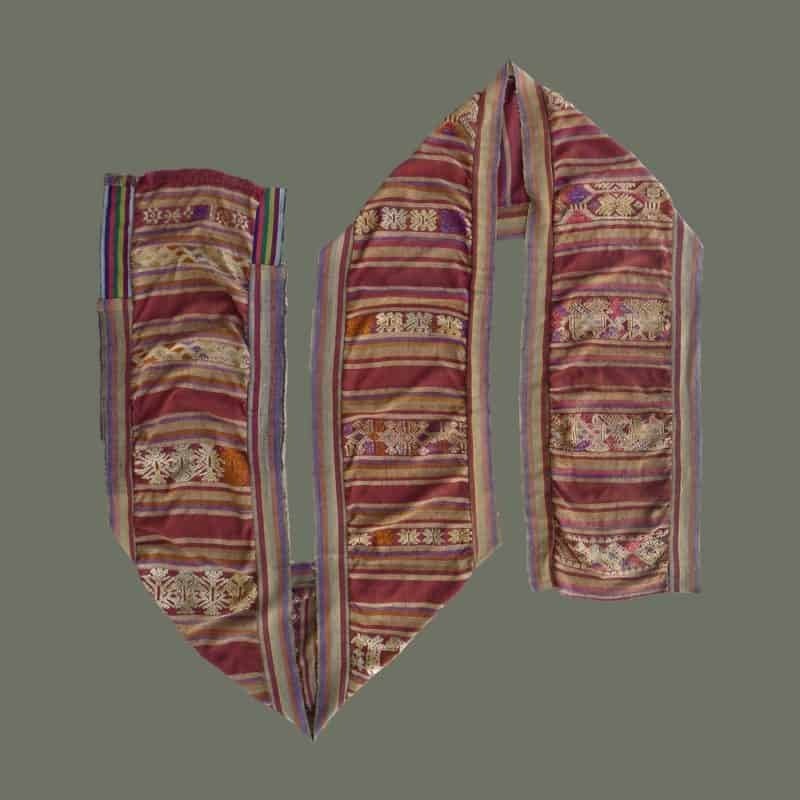  Condition is quite good with minimal soil and no holes.